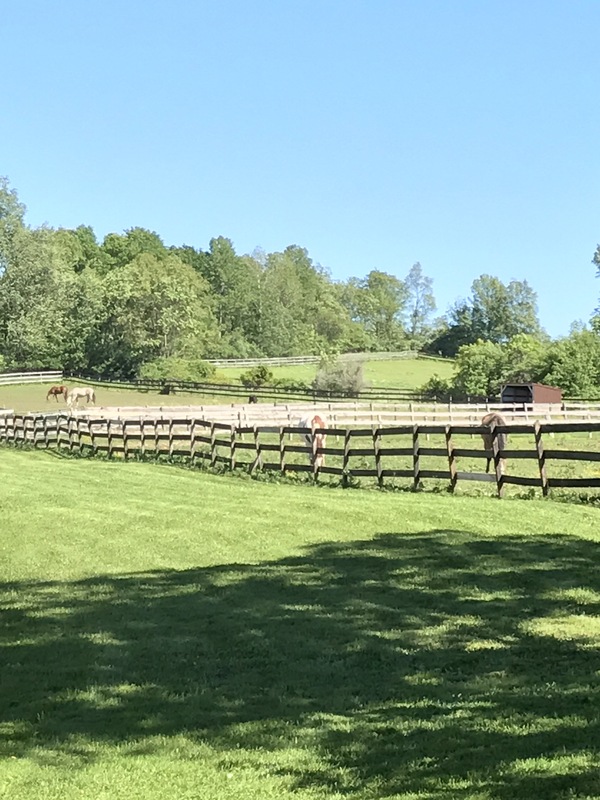 Pasture board is available from April through October when the weather is nice and your horse wants to play. All pastures are immaculately maintained with post and board fencing and have shelters available if needed. Your horse will be turned out with compatible groups and have plenty of space to roam. Individual turnout may be available upon request. When a horse first arrives at our farm, they are always put on stall board for the first month. 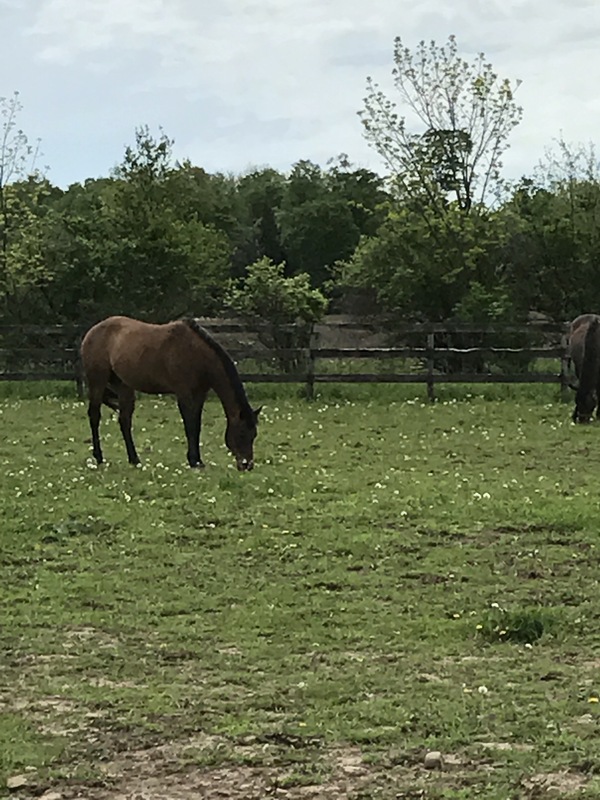 We are not comfortable having a new horse horse wandering paddocks they are not familiar with at night with horses they don't know and may not get along with. 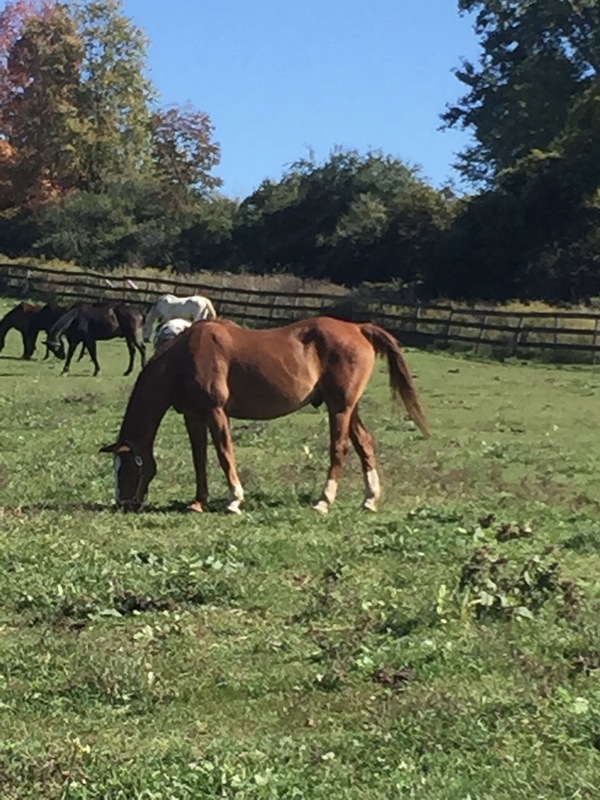 During the first month, your horse is allowed to settle in and get comfortable with their new surroundings. It also gives us the opportunity to match them with a compatible friend or two. Please reference our boarding comparison chart, to view all services that are included in this package. Hans is enjoying some grass with his buddies.